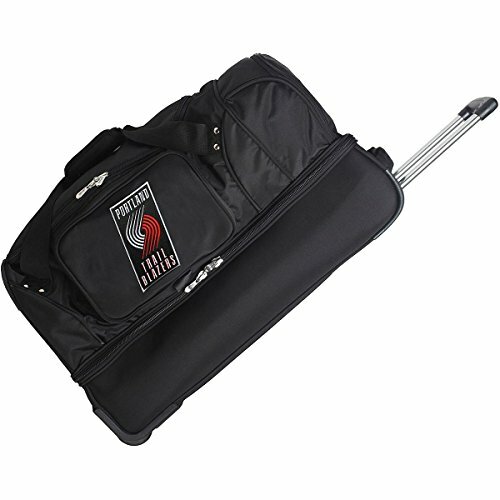 NB300PTB NBA Team: Portland Trail Blazers Features: -Licensed sports luggage.-High quality embroidery.-Push button telescoping handle.-Fully lined interior.-Dual-tempered aluminum handles. Construction: -Constructed of polycarbonate frame. Dimensions: -Dimensions: 7-17'' H x 15'' W x 27'' D. Warranty: -Five years warranty.